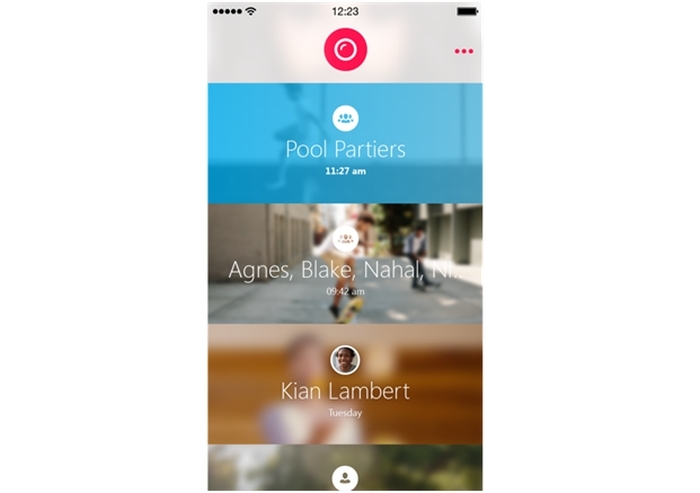 Will Skype Qik Give Skype The Springboard It Needs To Get Ahead On Mobile? 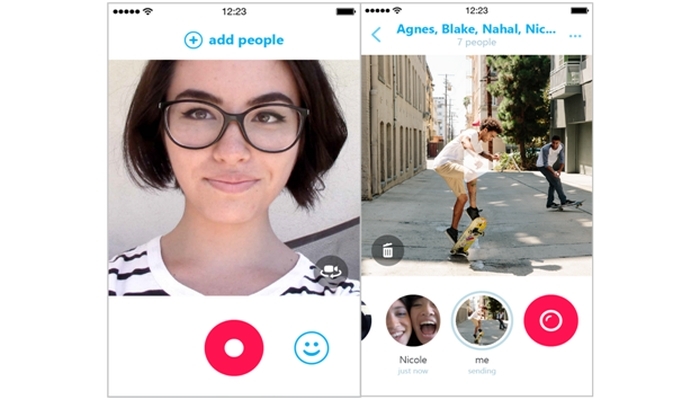 Skype launched a new app called Skype Qik earlier this week. At first glance, it looks like another run-of-the-mill spontaneous messaging app with an über cool user interface – use of wide spaces for image-display that sometimes also double-up as navigation, clean, lean and crisp san serif fonts that complements the app’s overall look and feel, complete with avatar images represented in little circular frames that can’t help but remind you of Rando. The main feature that jumped at me about the app is its ability to record and transmit 42-second long clips peer-to-peer. I’ve had a few long distance relationships in the past where I’ve made bunches of 15-second recordings to share my ‘a day in the life of’ stories with the significant other, using other similar apps. My conclusion; 15-20 seconds is way too little time for proper heartfelt messages and I’m pleased with Skype Qik’s extended video recording time frame. Unlike the Skype mobile app, Skype Qik is designed to be a lightweight, spontaneous and a holistically mobile-only experience. The app sends solely video messages and serves as a companion app to Skype’s video and audio conferencing software, a platform that has more than 300 million users. The app is currently available on iTunes, Google Play as well as Windows Phone Store if it has already piqued your interest. Skype Qik is created to handle very small videos of less than 5MB, the size of a big JPEG image which saves on storage space and battery usage. You can switch from front-facing to rear-facing cameras halfway through the video if desired, which is a really cool feature. A single start-stop button offers simple video recording and the app also crops the video to the default square shape as it records so processor-intensive editing isn’t required afterwards. Another nifty feature is that it allows you to pre-record 5-second video reactions, up to a dozen pre-recorded messages in the form of ‘selfie emoticons’. These canned recordings act as stock replies in situations when you’re not in the mood to record a custom video message and just want a quick-fire reply. This feature is live on the iOS and Android versions but it’s still in the works for Windows phone. Skype Qik is also rather flexible. The app works for two individuals communicating to larger groups. You can add new members into chat groups at any time, and the newly added members can only view video messages from that point forward. The app’s main interface is a list of recent chat contacts. Tapping on any one of them reveals the conversational history with a big button to add a new video message to the conversation. The videos last two weeks in the app, similar to the ‘ephemeral’ design that’s synonymous with snapchat, before being deleted automatically from every phone involved in the chat. If you have strings of conversations going on, only the latest 8 video messages will display in the app’s carousel. To review older videos within the 2-week time frame, you will have to pull on the sides to scroll back in time. You can also delete video messages at any time. Doing so will also automatically remove them from all mobile devices that held the same video message. Creating and successfully launching the mobile-only Skype Qik app is an important move for Microsoft. The company, whose fortunes have traditionally been tightly wedded to the personal computer, is trying to tap into the mobile market where there’s more growth. The Skype service has made the jump to mobile phones but it’s used infrequently, compared to competing products like Apple FaceTime, Google Hangouts, Facebook Messenger, and countless text-messaging apps geared for frequent, quick missives. Skype Qik is seen as the companion app to bridge the gap, now going a different path to becoming a viral group messaging app. While we can’t expect the mobile-only Skype Qik to magically solve all of Skype’s problems, I still foresee it as a great hit on Skype’s existing platform of 300 million users. The app is a standalone from the Skype classic version, and new users will be expected to register. The migration from Skype to Skype Qik isn’t automatic and having a mobile-only nature, means it uses phone numbers and in-phone address books, which might speed up the spread of the app but doesn’t automatically translate Skype’s large user base onto Qik. However, this process does take away the need to register a username and password, which is how Skype currently accepts new users and usually poses a slow signup process and creates greater inertia, giving Qik a leg-up in growing its very own user base. The downside to this ‘mobile-number only user recognition’ approach is that you can’t use the app on tablets, PCs, or other devices lacking a phone number. Which means that the app is unable to seamlessly move to a different device the way Facebook Messenger, Apple Facetime, and Google Hangouts users can. At this point, we’re unsure how Microsoft is going to tackle and migrate its massive number of users from Skype to Skype Qik seamlessly, but tackling this hurdle would definitely bring Microsoft closer to achieving the better showing in the mobile market they have always pursued. Viber Takes Skype On With Its Upgraded Desktop Versions – Who Wins?